Now that the rainy season has ended summer is officially here. 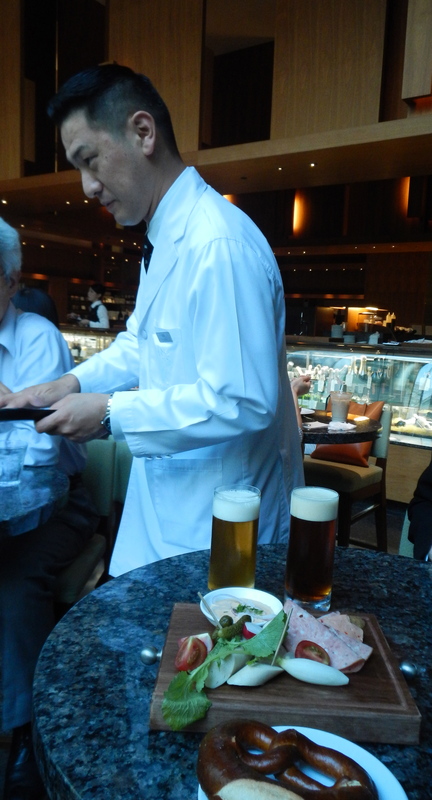 Temperatures are soaring and while many are cooling down at beer gardens on department store rooftops, a great all-you-can-drink craft beer offer is at the Deli in the Park Hyatt Tokyo. The Deli has been doing this summer only special for five summers. Last year the food served with the craft beer was Mexican, this year it’s German. The hotel has soft pretzels made specially for this promotion. 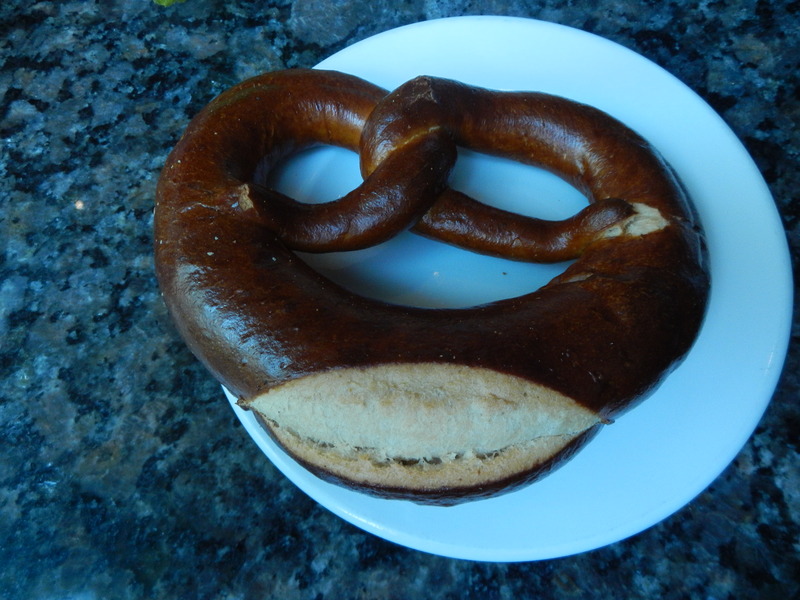 The pretzel is delicious and is a big size, perfect for nibbling on. 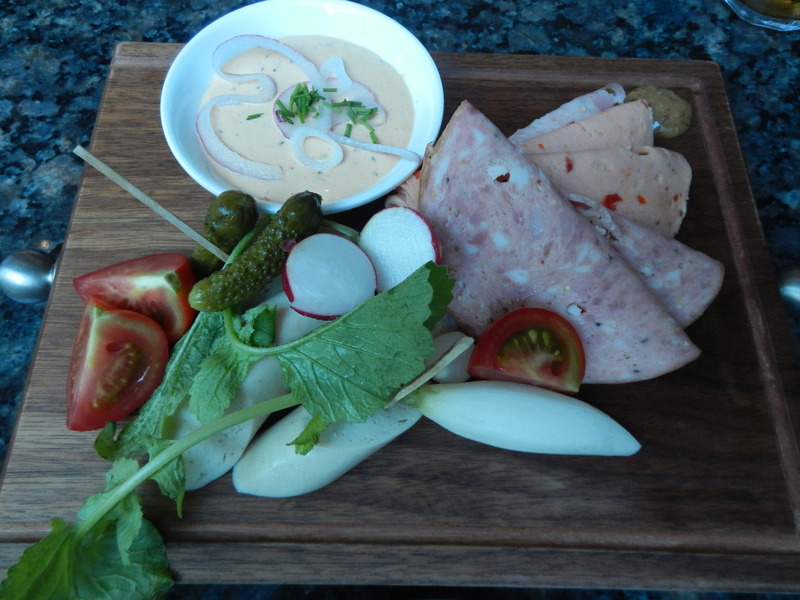 The food that is served is a generous serving of German meats of Weiswurst white sausage, Bierwurst, Paprika Lyoner, and a pork belly Rouladen. There is a sweet mustard as well as a great sauce called obazda. I spoke with the Executive Sous Chef, Yoneda-san, who said that the traditional Bavarian sauce is made with Camembert cheese. It’s something I will try to make at home. Saito-san, in this photo, and I used to work at the New York Grill and Bar together. If you go, tell him Yukari sent you. He’ll look after you. 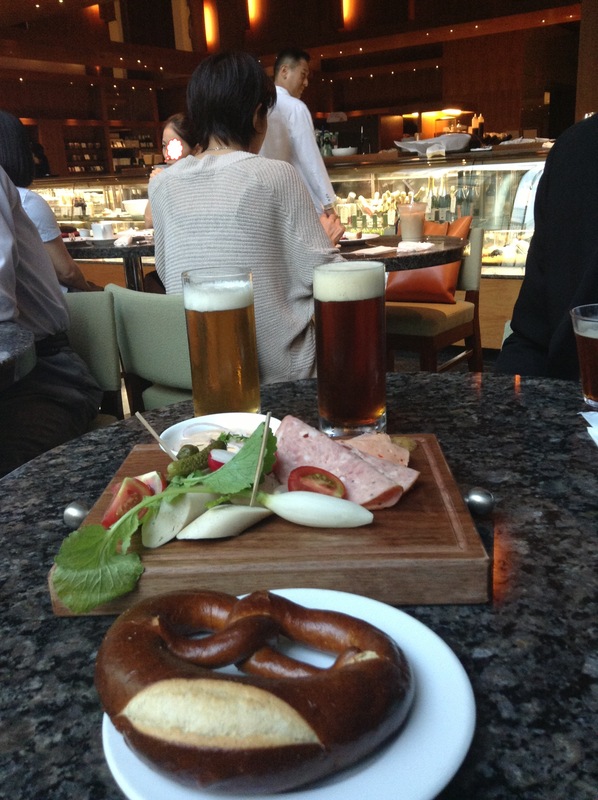 There are two beers on the menu, both made by Sankt Gallen Brewery in Kanagawa. 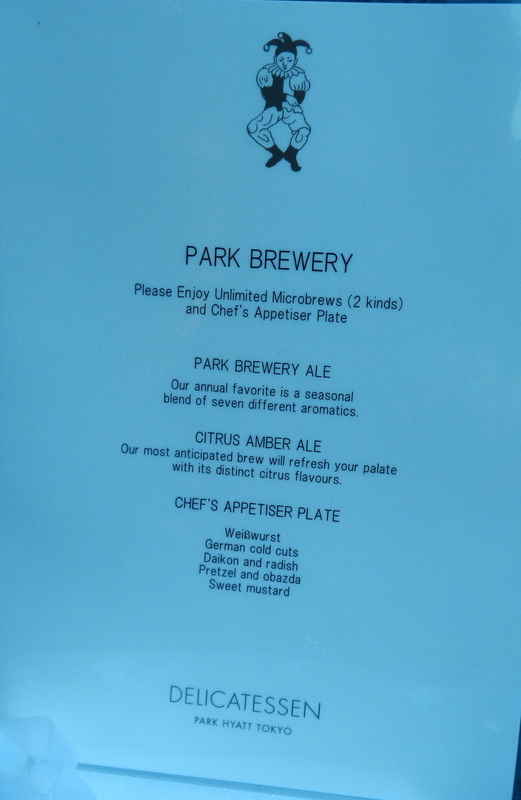 The aromatic and refreshing Park Brewery Ale is served each summer. The second beer changes each summer. The second beer this summer is a Citrus Amber Ale is made with an orange-like citron called shiranui. It’s slightly sweet at first but has a light bitter finish. A nice contrast to the house Park Brewery Ale. Here is the menu. The food comes out right away and is not replenished. It’s a generous serving of food, but if you do get hungry, you could always order something from the Deli’s menu which includes sandwiches, salads, and other small bites. The indoor seating fills up quickly with this event. There is also a standing area indoors. 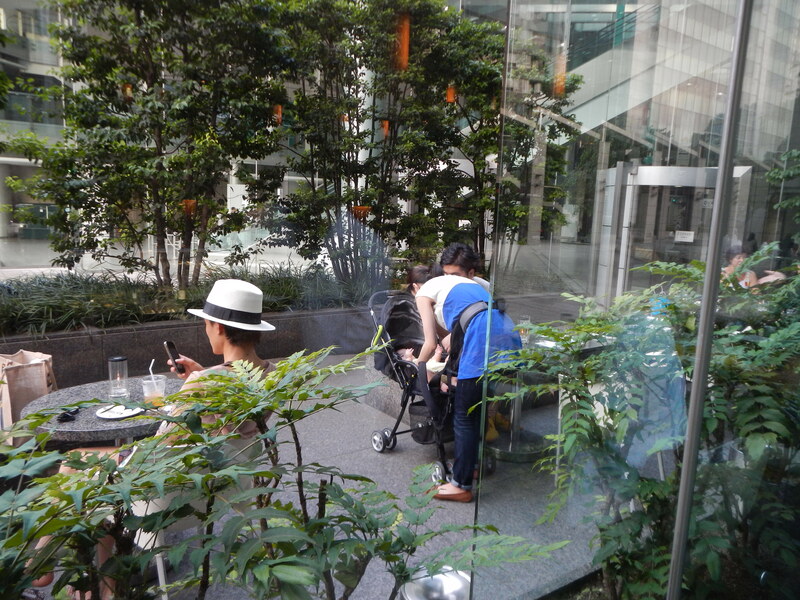 Alternatively, grab a table outside in true Japanese beer garden style. Having been to many different all-you-can-drink beer promotions in Tokyo, I can say that this is one of the best. 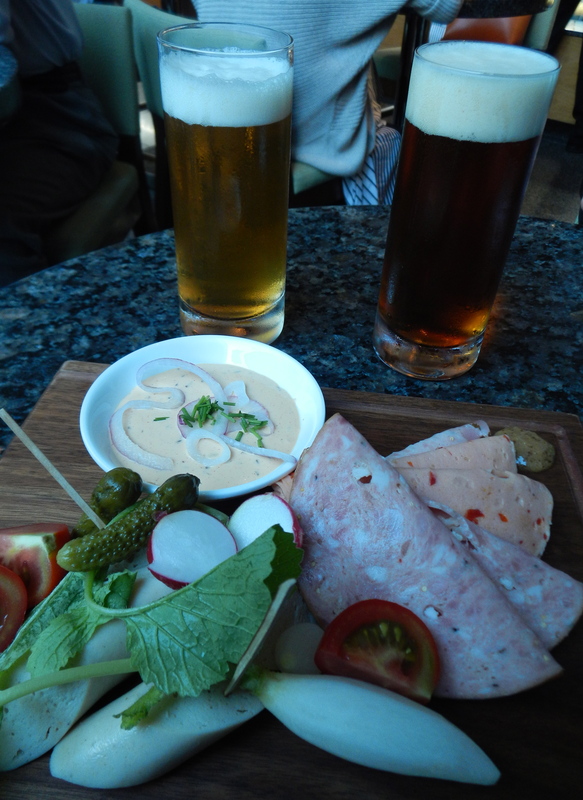 Excellent quality beer and a smart menu that pairs perfectly with the beer. It’s worth a journey to Shinjuku for this event. 6 to 8 p.m. last order at 7 p.m.
*Note, it’s usually a nice walk to the hotel from Shinjuku station. 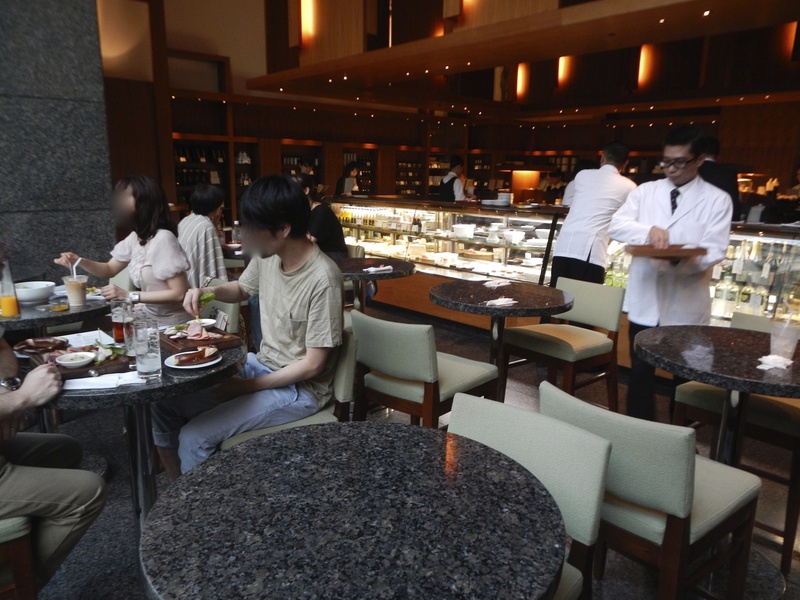 However, with the heat, I suggest taking the free hotel shuttle from Shinjuku Station’s Nishi Guchi. Check the shuttle schedule here.